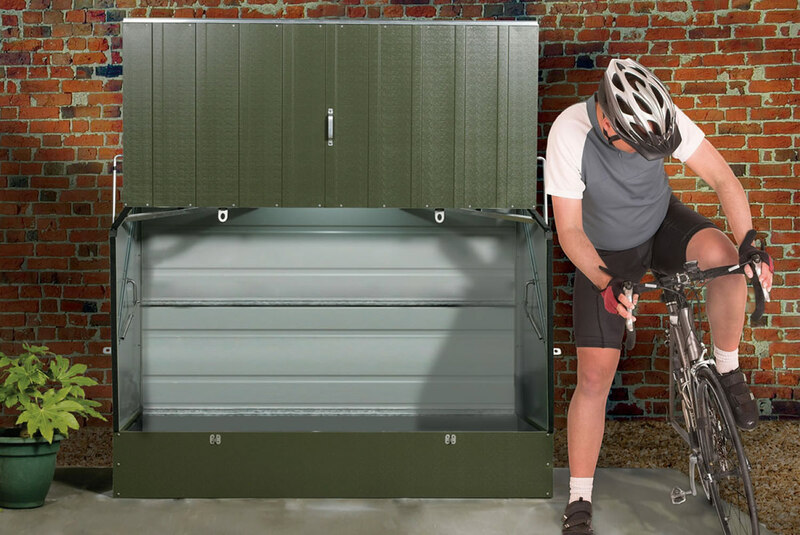 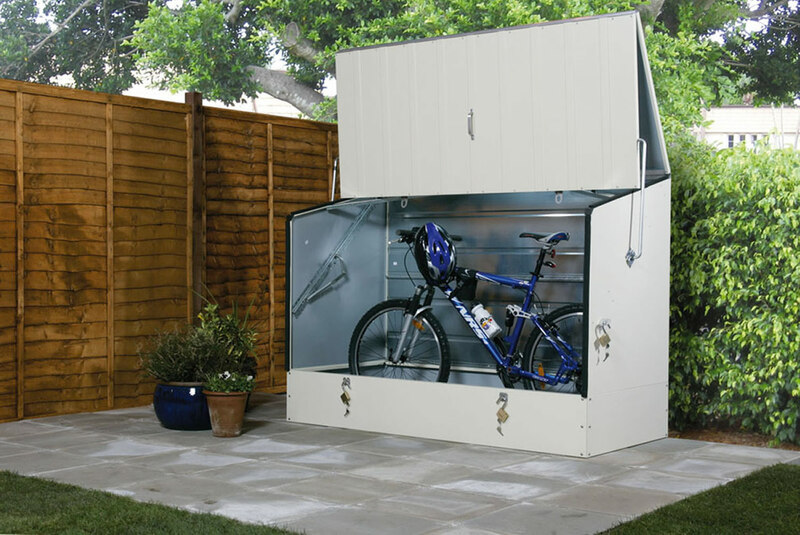 The Protect a Cycle™ storage system has been designed to offer unbeatable secure bike storage at an affordable price. 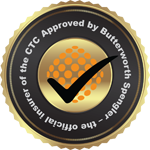 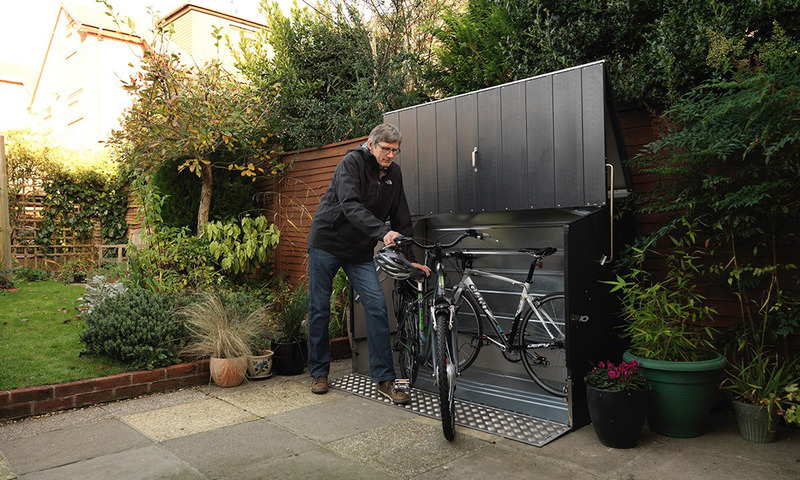 The product is supplied complete with two stainless steel hasps with two high security padlocks (Sold Secure Silver Approved) which will deter even the most determined thief – but wait there’s more – because even if the thief does eventually penetrate he is confronted with a Heavy Duty Ground Anchor (again Sold Secure Silver Approved) complete with High Security Cable (Loss Prevention Board tested) preventing the cycles from being removed. 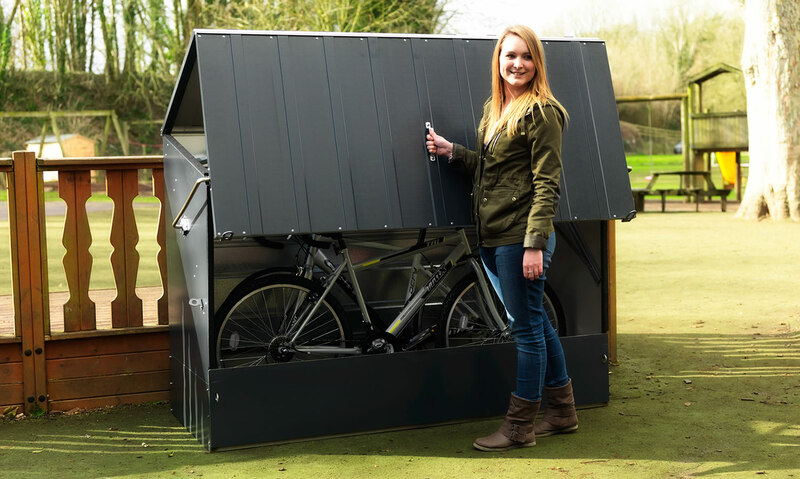 The generous dimensions of Protect a Cycle allow up to three adult bikes to be stored together (depending on style) and the clever patented design, which features a spring assisted opening action, allows complete and easy access. 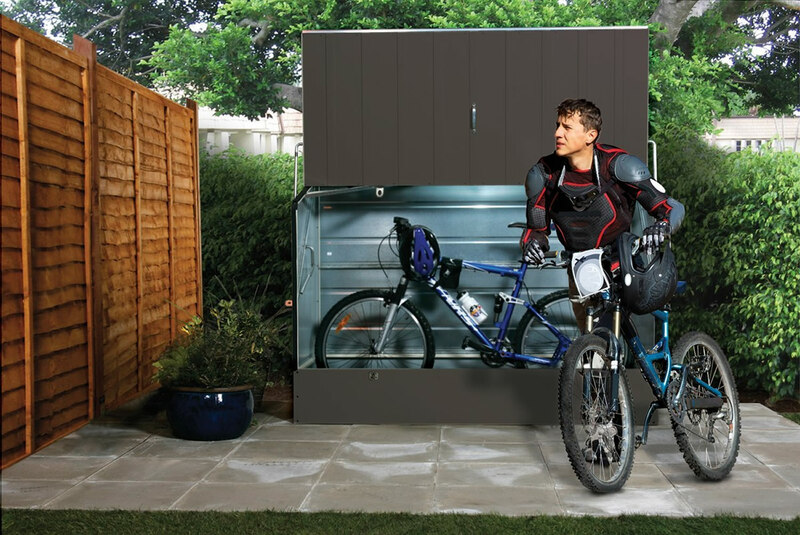 A professional version of this product is also available, it is larger and offers an even higher level of security so is ideal for exposed locations or commercial use.